Corneal transplantation is regarded as the most successful solid organ transplantation procedure (1). Niziol et al. performed a study in 2013 with follow-up averaging 10 years and found that corneal rejection after PK for keratoconus occurred in 44% of grafts, but only 8% of grafts actually failed (22). While long-term rejection data is not yet available for the newer EK procedures, lesser rejection rates have been demonstrated after DMEK (0.7%) and DSAEK (9%) than PK (17%) at 2 years in patients on the same postoperative steroid regimen and treated for similar indications (23). This may be secondary to reduced antigen load in the thinner graft tissue. Modern treatment efforts can account for the vast difference between graft rejection and failure. 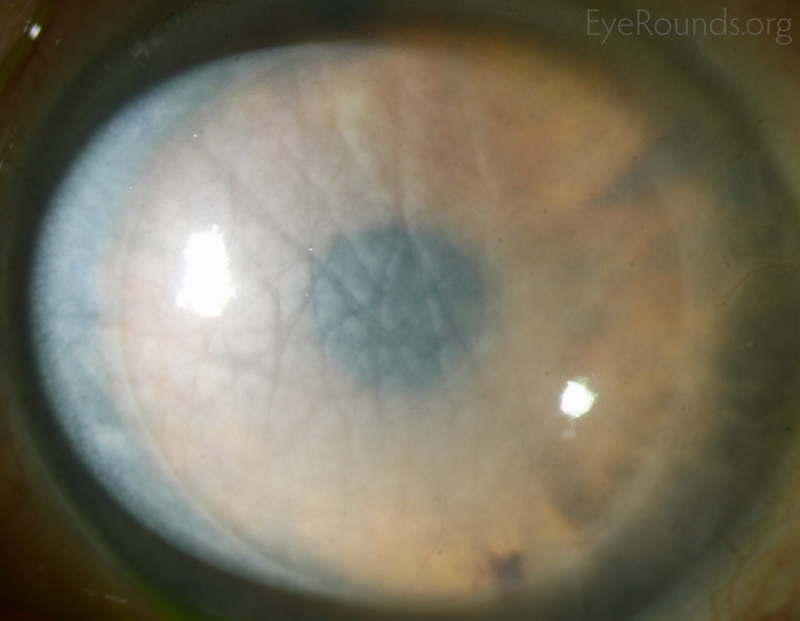 However, graft rejection still remains a significant cause of corneal graft failure (Figure 16) (1). The most effective intervention is early recognition and prompt treatment with topical steroid drops. 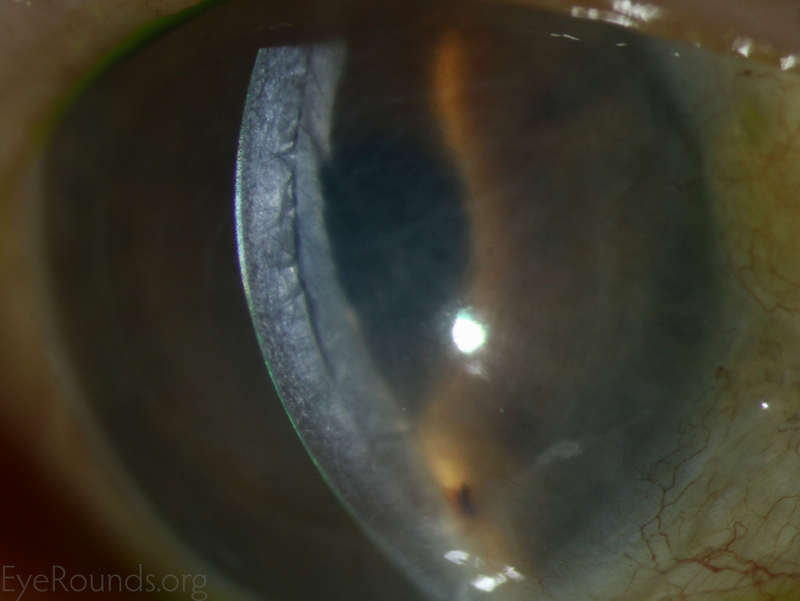 If the patient notices any redness, pain, or decreased vision, it is critical to seek prompt treatment to maximize chances of reversing the rejection episode. Figure 20: Massive corneal edema secondary to DSAEK allograft rejection. Accumulation of fluid is visible in the graft-host interface.